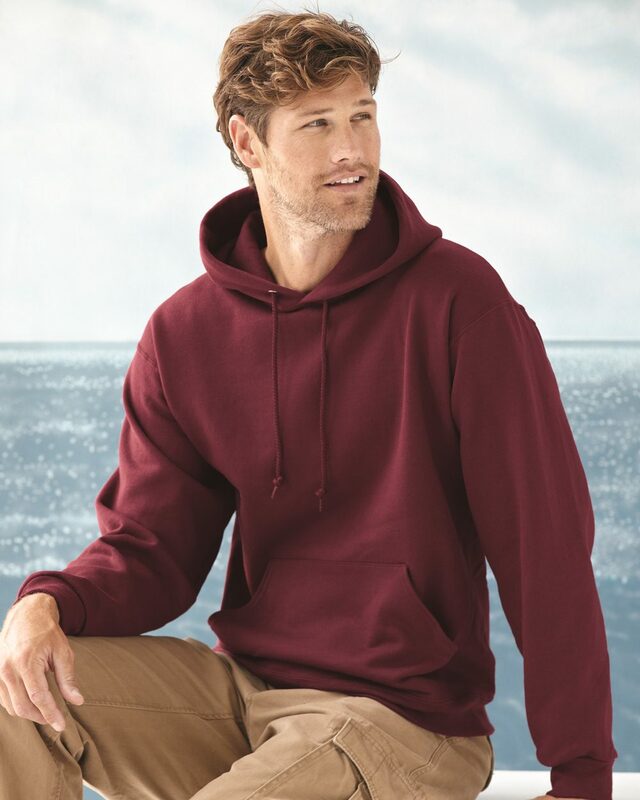 Better than more known brands, the Jerzees 4997M NuBlend SUPER SWEATS hooded sweatshirt is great to wear for working out or just comfort in or outside of the home. 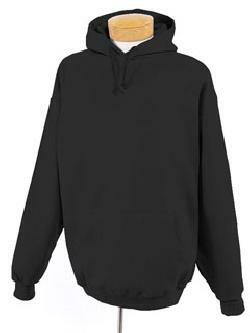 With set-in sleeves for a wide print canvas, these sweatshirts are perfect for imprinting and/or embroidery. They are durable and made with spandex on the cuffs and waistband for excellent stretch and recovery. 9.5 oz., 50/50 cotton/poly. Seamless body. Two-needle coverseaming at neck opening, armholes, shoulders and waistband. Smooth cuff construction. Double-lined hood with grommets and matching drawcord. Double-napped fleece provides a loftier, softer feel. Retail sizing.